JEA provides more than 330,000 customers with over 120 million gallons of safe, high-quality drinking water every day. And while we have plenty of water right now, a growing population and economy will increase demand in the future. JEA customers do an excellent job of conserving water, but conservation alone will not assure a sustainable supply for generations to come. The video below illustrates how JEA is working to ensure a stable water supply source for generations to come. Virtually all the water JEA supplies to customers comes from a vast underground source called the Floridan aquifer. It is our best and most cost-effective source. Continually recharged by rainwater, this very pure water requires comparatively little treatment to meet federal and state standards. There are several possible solutions for ensuring a sustainable water supply in the future. While JEA has already implemented robust conservation initiatives and an expansive reclaimed water system for irrigation purposes, one promising approach is aquifer recharge using purified reclaimed water. Other potential solutions include surface water purification and desalination, however each of these comes with differing costs and complexity. As other utilities have demonstrated positive environmental impacts through aquifer recharge, JEA has committed resources to bring this innovative model to Northeast Florida through a three-phased approach. Water Reclamation Facility: Water is discharged from homes and businesses and treated at a water reclamation facility. Water Purification Facility: Here the water is further purified to drinking water standards. Injection Wells: The purified water is then pumped into the ground to recharge the aquifer. Floridan Aquifer: Purified water sustains the aquifer. Wells: Water is pumped up from the aquifer. Drinking Water Plant: Water is treated once again before moving on to the customer, ensuring quality and safety. 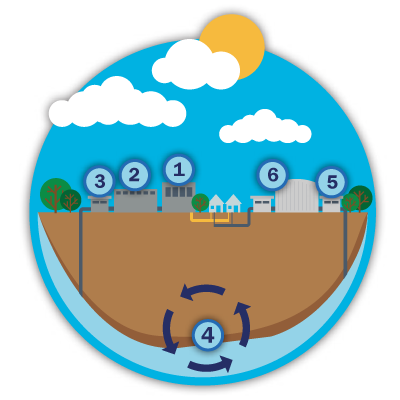 With aquifer recharge, we accelerate the earth’s natural water cycle through science and technology. 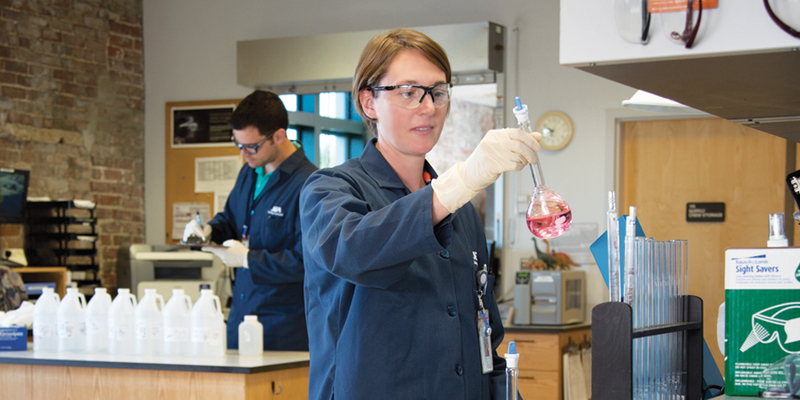 We have completed testing of two leading technologies, reverse osmosis purification and biologically active filtration, at two of our water reclamation facilities. Following evaluation of the two technologies tested in Phase One, we will move forward with the technology that provides us with the highest quality and cleanest purified water. Phase 2 will also fully engage the public in outreach activities to ensure a full understanding of the technology and safety of purified water. In the Demonstration Phase, we will scale up daily production capacity up to one-half million gallons and return the treated water back into the JEA reclaimed water system. Based on cost effectiveness and community acceptance, we could proceed with full-scale implementation up to 50 million gallons a day in the 2030 to 2050 time period. If our research — along with public and stakeholder input — proves that aquifer recharge is the best way to meet our future needs, all of us win. We will have a sustainable water source for future generations. We will continue enjoying safe water produced in a cost-effective manner. Water we now discard will be reused. At JEA, public health and safety is our highest priority. We will continue to monitor water quality regularly to ensure we provide safe, reliable drinking water to our customers.